Today’s guest blog post, on the topic of an unusual location, is brought to you by Marion Grace Woolley. Who doesn’t like a circus? From The Night Circus by Erin Morgenstern to The Trapeze Artist by Will Davis, there is something darkly seductive and sinisterly suggestive about a carnival. They are places of possibility, where the fantasies of childhood outweigh our adult rationale, where the smile of a clown can brighten or frighten, and where deviations of all description are celebrated. 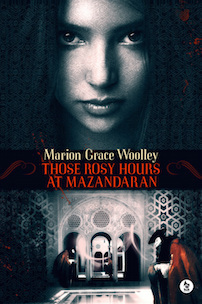 Those Rosy Hours at Mazandaran is set in the mid-1800s, where travelling circuses roamed as far as Europe and the Middle East, combining their wonders with local folklore and superstition, playing on a thirst for sights never before seen. The book opens with the Shah of Iran listening to the story of a fur trader who has travelled from Russia with a troop of gypsies. Among them is a magician as ugly as sin, yet possessing the voice of an angel. Intrigued, the Shah offers a reward for the whereabouts of this circus, that he might bring them to Iran to entertain his daughter on her eleventh birthday. The challenge for me was to create a circus that would enchant my characters, living in a world long ago, and my readers, wise to the tricks of Derren Brown and Dynamo. To begin with, I drew upon my own memories. When I was young, my mother took me to Boscastle in Cornwall. We stayed at a youth hostel opposite the Museum of Witchcraft, which came to feature in my first novel, Lucid. Nowadays it is a very modern museum, with bright displays and multimedia recordings, but back then it was rather more rustic. It held all the atmosphere of a Victorian curiosity shop. There were wooden shelves with three-headed pigs in formaldehyde, scolds’ bridals, and even the body of a local witch, which has since been buried. There is a thick sense of memento mori about the times of Those Rosy Hours. People died young, wars were fought, pestilence rampaged, and there was a fascination with all that lies between life and death. The ‘wonders’ of creation. As an adolescent, I loved The X-Files. In the second season there was an episode called Humbug, which focused on a travelling freak show. It included a character who had a parasitic twin, where the two eggs do not entirely separate in the womb, causing one twin to grow out of the other. There was also a character who suffered hypertrichosis, which caused every inch of his body to be covered in hair. These certainly influenced my characters The Kicking Boy and The Human Dog. These traits have appeared in celebrated entertainers of the past, most notably Petrus Gonsalvus. Another aspect of the circus is that of clowns, for no show is complete without them. In my story, the Shah has two clowns at the palace, Behrang and Emad, who perform comic tricks much as jesters in the courts of kings. Yet Behrang in particular fulfils ceremonial roles, including that of the Hajji Firuz, The Keeper of the Fire, during New Year celebrations, his face blackened with soot for good luck. No circus would be complete at that time without animals. There is a tiger in my story, toothless and clawless, a little like the lion in Water for Elephants. This tiger performs a trick, where three beautiful girls tuck a red ball into one of their sashes. He locates it as if by magic, the audience unaware that the illusion plays upon the cat’s sense of smell. One of the spookiest events in writing this book was that, sometime after it had been sent to print, my publisher managed to find an archived photograph of one of the last tigers in Mazandaran, a species now extinct there. Circus performers evoke myth, magic and mayhem that fascinates even as it repels. To write of such carnivals is a huge pleasure for any author, because your imagination has free rein to conjure up the impossible, pushing the limits of disbelief. Thank you, Marion. It’s great to have you back and with such an unusual topic. 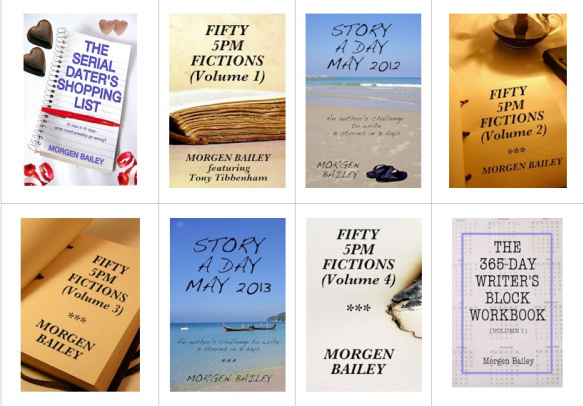 Marion Grace Woolley is the author of three previous novels and a collection of short stories. 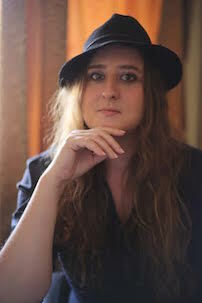 In 2009, she was shortlisted for the Luke Bitmead Bursary for New Writers. She balances her creative impulses with a career in International Development; has worked and travelled across Africa, Australia, Armenia, and a few other places beginning with ‘A’. and from this blog, my guests who have written about settings (locations) include Andy Barten, Barbara Quinn, Kenneth Weene, JL Greger, Lea Ryan, Lou Allin, Paul Lell, Morgan St James, and Peter Murphy.